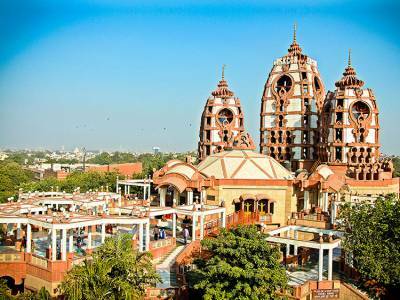 The ISKCON temple in Delhi is built in the year of 1993 by Russian artists over a massive sprawling area that comprises of the temple complex. The wonderful monument constructed in remarkable white marble is a spectacle to marvel as it soars great heights as much as it occupies a landscape far and wide that the line of vision cannot completely capture in a single sighting. The ISKCON temple is a monument that houses the shrine dedicated to Lord Krishna and his eternal consort Radha Rani and is one of the important centres for imparting the teachings of Krishna through a global reform movement that was founded by Srila Bhaktivedanta Prabhupada in New York City. 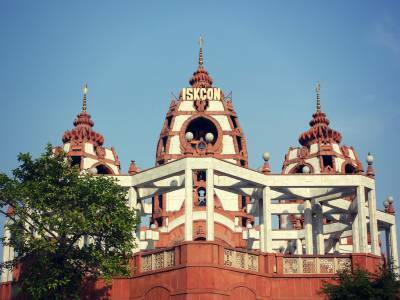 The ISKCON is the abbreviated form for the same reform movement known as International Society for Krishna Consciousness. 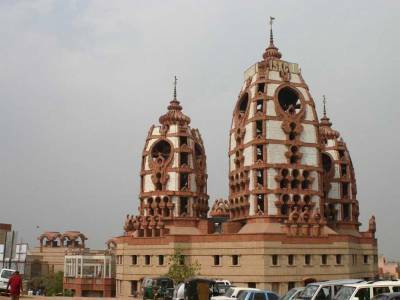 This particular temple for ISKCON in Delhi houses in its inner sanctum a shrine depicting Krishna in the image of chariot steerer or navigator for stalwart warrior Arjun in the battlefields of Mahabharata and hence the temple is also known popularly as Radha Rani Parthasarathi Mandir. Founded designed and conceptualized from scratch, this lavish temple monument was overseen by Acyuta Kanvinde on the insistence of Srila Prabhupada on a pro bono basis. The temple complex houses a restaurant, confectionery shop, auditorium, exhibition area, residential quarters and common area/ facilities for visitors. The feeling here is pious and spiritual. Generally, the mood is elevated when you enter the temple complex. The 24 four priests are assigned the task of carrying out essential prayers and services. The deities are dressed twice a day. The daily routine includes six aartis offered to the deities, namely Mangala Aarti, Darshan Aarti, Raj Bhog Aarti, Usthapana Aarti, Sandhya Aarti, and Shyana Aarti. 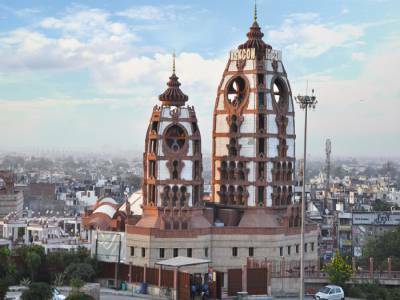 The temple stands proud and tall today as a magnificent jewel in the crown of the landscape that is Hare Krishna Hills in East Kailash, Delhi, fully ornamented and illuminated at the fall of dusk to identify itself as the abode of Lord Krishna and his eternal sweetheart. 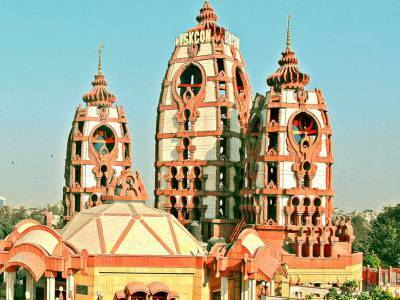 Get quick answers from travelers who visit to ISKCON Temple, Delhi.